The Kaleidoscope Inflatable Snowman stands a full 8 feet tall! 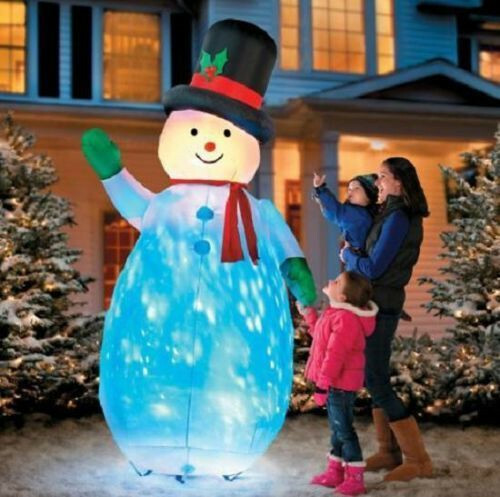 This giant snowman lawn decoration seems to burst with activity as an incandescent kaleidoscope light bounces around inside his oversized body. The Kaleidoscope Inflatable Snowman is made of durable nylon fabric and inflates automatically when plugged in. Includes stakes and C7 bulbs.